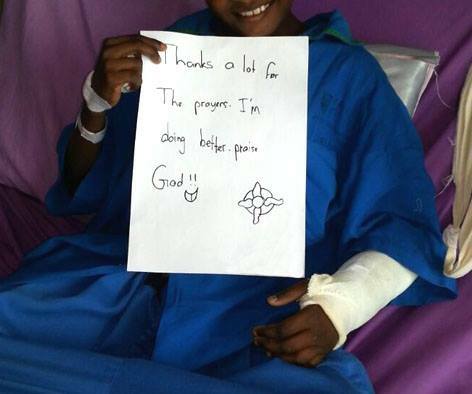 Title: Broken arm with a healed smile! Mishaps happen every now and then with children, especially when they like to push boundaries and test themselves during playing time. One of our boy, Kumar* along with the other kids went for their weekly Boys Brigade and during the free time, went to the nearby playground facilities to play. 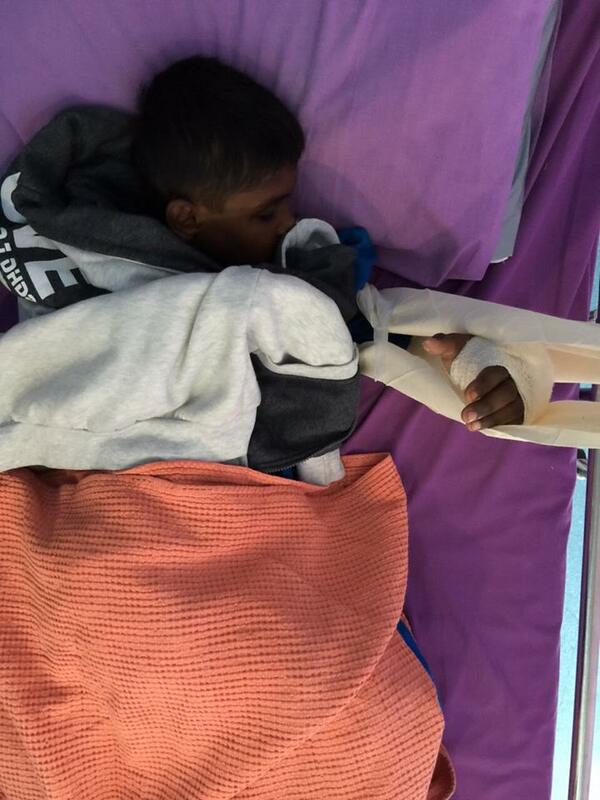 Kumar who was climbing at the monkey bar slipped and fell with his arm hitting directly at the cement slab at the side. He was immediately sent to the nearest hospital for treatment. We shared this update at our Facebook fanpage (www.fb.com/shelterhomemy) and asked if anyone would like to give him any encouragement or well wishes. The wishes started pouring in – 61 comments in total! We shared that to Kumar and this was response to them, just look at his smile!